For about a week, my wife and I enjoyed Montpellier, France. It was our first time there and we will definitely be back. Despite a rainy start (storm front throughout Northern Mediterranean), the weather cleared up and we enjoyed three days of sun at a pleasant 62F. 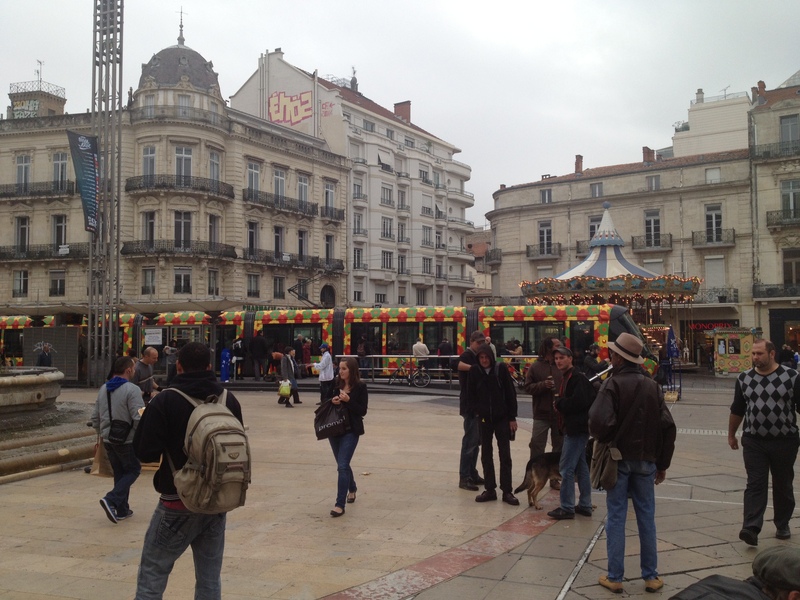 The city had great young vibrancy in the “Old Town” (near Place de la Comedie) area and the surrounding universities. Nearby, there are quaint old villages on the outskirts of town (Perol, among others), and also the large beach resorts on the coast. If one wants to escape to more modern conveniences, Montpellier offers the cinema, aquarium, planetarium and shopping of the Odysseum District. Then, there is the Galeries Lafayette in center of town for high-end shopping. We didn’t have time to explore outside the city which I hear is wonderful. One of the best parts of the area is a above ground tram system, where you can see the whole city while riding on an all day pass for 3.60 euros.The city shows well. Of course, the foods (and wines) are big reasons why I visit France so often. The other is because of the friendly people. And in Montpellier, the locals were particularly gracious. Shari and I’ve now explored Paris, Loire Valley, Cote d’Azur and Languedoc regions of France for extended time. We love the food, the culture, the history, the landscape and the people. Yes, the people, which often surprises my American friends. For me, interacting with the locals is an important and fun part of any travel experience, regardless of where I’m visiting. Posted in Travel and tagged France, Montpellier, Tourist, vacation. Bookmark the permalink.